During the 2014 World Cup, French Guiana got the geographical equivalent of 15 minutes of fame. A place a good portion of the world didn’t know existed, much less could find on a map, was highlighted in numerous maps of World Cup stadiums around Brazil, as well as the subject of a number of “interesting places to travel around the World Cup” stories in the months leading up to the event. And that was the last most of the world thought about it. It’s not the world’s fault, really. Getting to this French overseas department isn’t exactly straightforward. Your options from the US are either flying to Paris and catching a nonstop to the capital city of Cayenne or taking multiple island-hopping flights through the Caribbean, which almost guarantees your bags don’t make it there with you. You could also fly into neighboring Brazil or Suriname, somehow make your way to a port crossing the bordering rivers, then arrive on the other side in French Guiana. But there’s not exactly an Avis counter on the other side. And with essentially no public transportation, getting around might prove challenging. But that’s why for the adventurous, this little country that makes up a half-percent of South American landmass might be the best destination in the western hemisphere. It’s rough and rustic, untamed and tropical, but with the safety and stability of the continent’s only outpost of the Eurozone. It’s neither inexpensive nor straightforward, but its challenges have left it for the most part unspoiled. Here are some of the highlights of what makes French Guiana such a unique place to visit. The food is as exciting and diverse as the landscape. As a French overseas department, the food is almost legally required to be good. Yes, the colonial influence is strong, and there’s no shortage of French fine dining both in the capital and the beach cities along the coast. 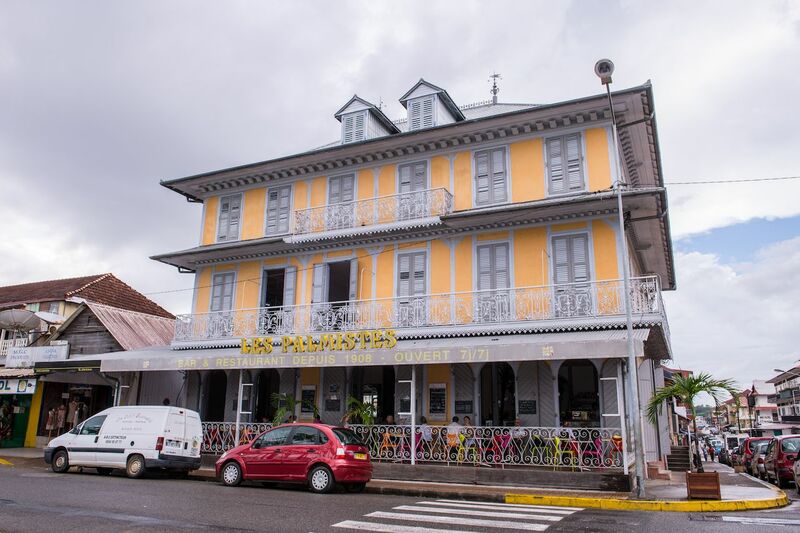 But French Guiana was also a haven for immigrants from the former French empire, so it’s also teeming with Asian food incorporating South American influence. 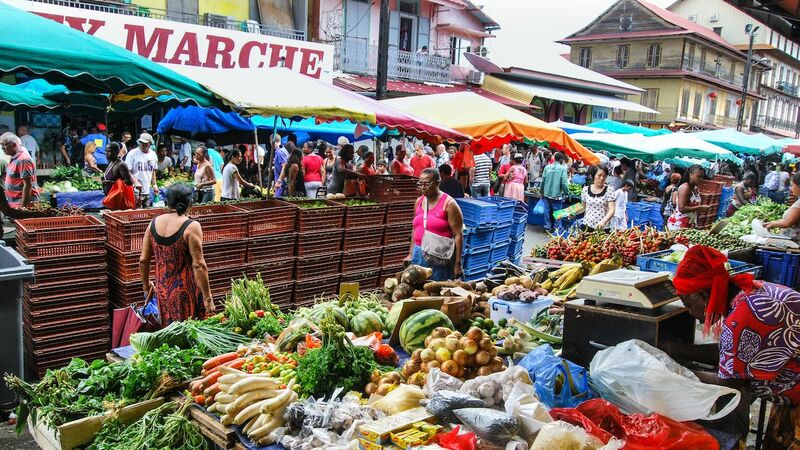 Vietnamese, Chinese, Laotian and even Hmong cuisine is everywhere, with alluring smells filling the busier parts of Cayenne. The best place to experience it all is at Place Victor Schoelcher Market, a bustling farmers market that smells of tropical fruits and Indian spices. Here you can grab a fresh juice and stroll the stalls, sampling farm-fresh offerings that are all up to French standards of excellence. The beaches are totally undisturbed. Though one might think this warm-weather outpost would have become overrun with wintering French visitors, it has fallen a distant last behind all the French Caribbean islands as a tourism destination. As such, you’ll find one of the best beaches in Cayenne — Remire Montjoly — the odd city beach that looks like a deserted tropical island. The golden sand backs up to thick jungle and palm trees, and though you’ll find a smattering of locals here it still feels highly remote. Much of the coastline is untamed, and the beaches in towns like Korou feel empty. You can also venture from to the Iles du Salut — or islands of salvation — formal penal colonies that now boast small, isolated beaches. 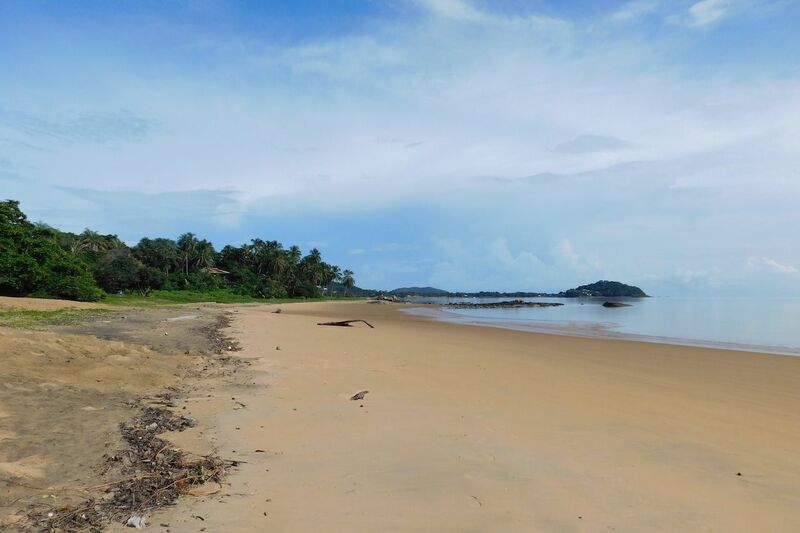 Perhaps the most famous beach in French Guiana is Plage Les Hattes. The bad news is this is the only beach where you might encounter what passes for “crowds.” The good news is that you’ll only find them at night as the big attraction here is the nesting leatherback sea turtles, which come ashore after dark to bury their eggs. Just be careful not to crush them if you show up during the day. The wildlife is exotic and abundant. Another bonus of minimal development is that animal habitats are relatively undisturbed in French Guiana. 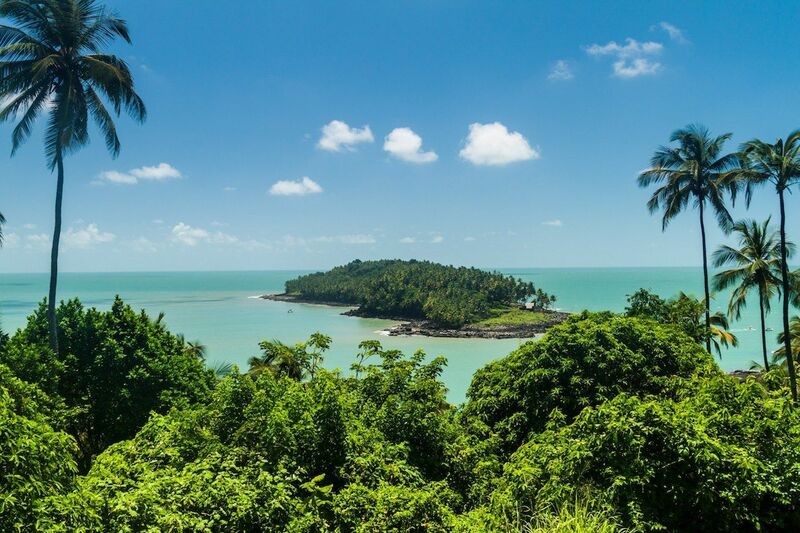 That means you can take short excursions into the jungle and encounter the area’s 700 species of birds, 177 species of mammals, and 100 different amphibians. You’ll see everything from sloths to ocelots, macaws, South American tapirs, monkeys, and even some manatees if you go out onto the water. 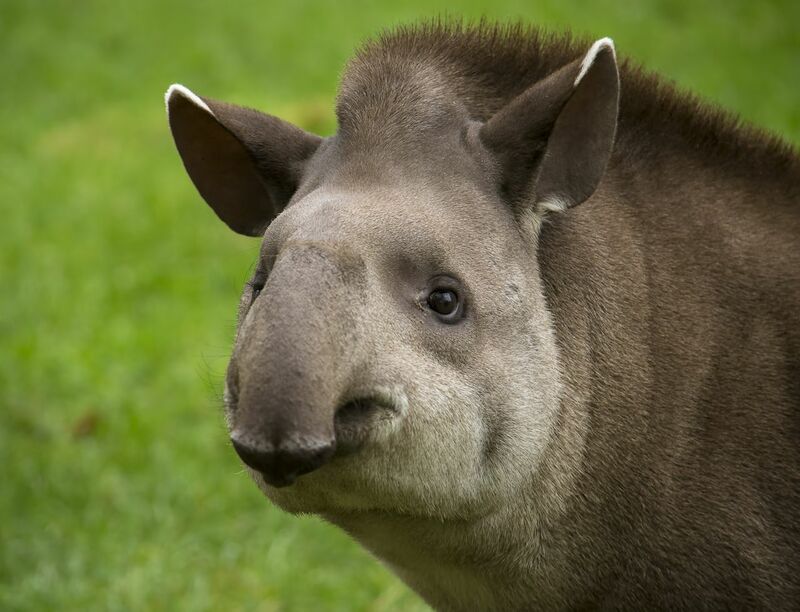 The jungle isn’t exactly tourist-friendly, though, and if you want to go out wildlife viewing, we highly advise you take an organized tour from one of the cities. Or you can visit the Tresor Nature Reserve in Kaw, about two hours drive from Cayenne. The prison history is dark but fascinating. Like a lot of brutally hot and far-flung colonies, French Guiana played a major role as a penal colony for French citizens. The largest remaining relic of the era is the Camp de la Transportation in Saint-Laurent-du-Maroni. This crumbling brick fortress was where prisoners arrived to be distributed among the Iles du Salut and for solitary confinement and execution up until the 1940s. You can tour the cells, which bear ominous art and engravings from former inmates, as well as old shackles and guard’s quarters. Though the main prison is one of the department’s main tourist attractions, you’ll find the spot both Alfred Dreyfus and Papillon were incarcerated out on the Iles du Salut. 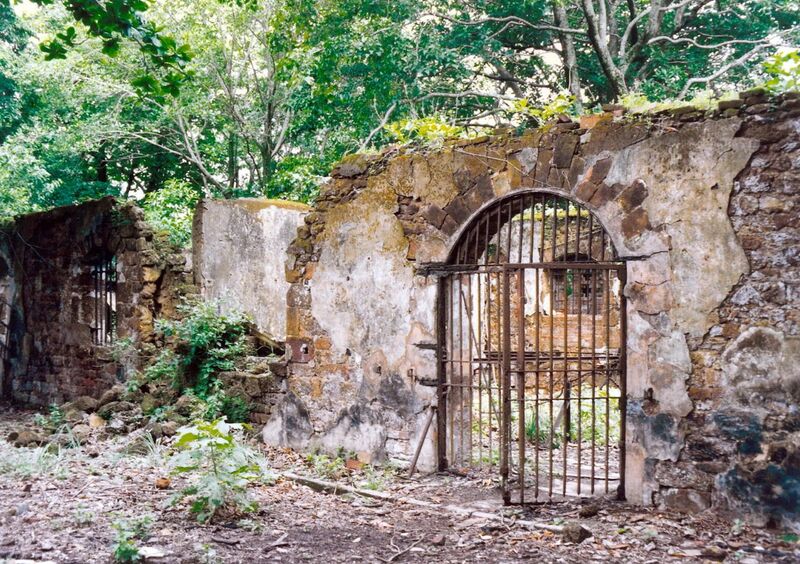 Though the most infamous — Ile du Diable — is closed to the public, you can tour the other islands and see the wretched conditions of one of the most notorious penal colonies in the world, as well as dine in the old guards’ quarters and stay overnight in converted prison buildings. You can see a rocket launch. Anyone with gas money can drive to Florida and see a rocket shot up from Cape Canaveral. See one take off from the Centre Spatial Guyanais, and you’ve got a serious leg up on your space-geek competition. The French developed this unexpected locale for interstellar exploration in 1964 precisely because of its remote location. Today, it serves the European and French space agencies, as well as private rocket maker Arianespace, and offers free guided tours of mission control and the launching grounds. Just note that you must make a reservation, and the tours are all in French. 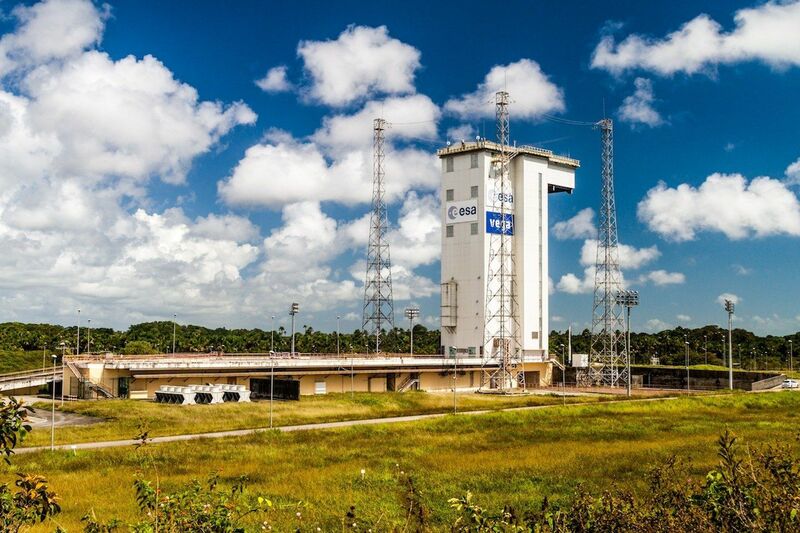 If you’re lucky, you can plan your visit around a rocket launch, no less impressive from the coast of French Guiana than it is around Disneyworld. And you won’t have to fight half of Florida to get a good view. It’s the most French-feeling (and sometimes Asian-feeling) place in South America. In much the same way Buenos Aires feels like a little slice of Italy south of the equator, so does Cayenne feel like someone dumped Paris in the jungle. The streets are filled with sidewalk cafes where people sip coffee and leisurely go about the business of the day. The architecture is the royal colonial style people rave about in places like New Orleans and Martinique. And though the French influence is charming, take a little side trip to the little town of Cacao for a completely different cultural experience. The Hmong refugee community that came from Laos in the 1970s mostly settled here, building churches and wood stilt homes with a distinctly Asian feel. You can tour a Hmong market, picking up embroidered souvenirs to take home, or stop and sample stuff like red-braised pork and spicy Hmong chicken sausage. Trips down the river are escapades into centuries past. 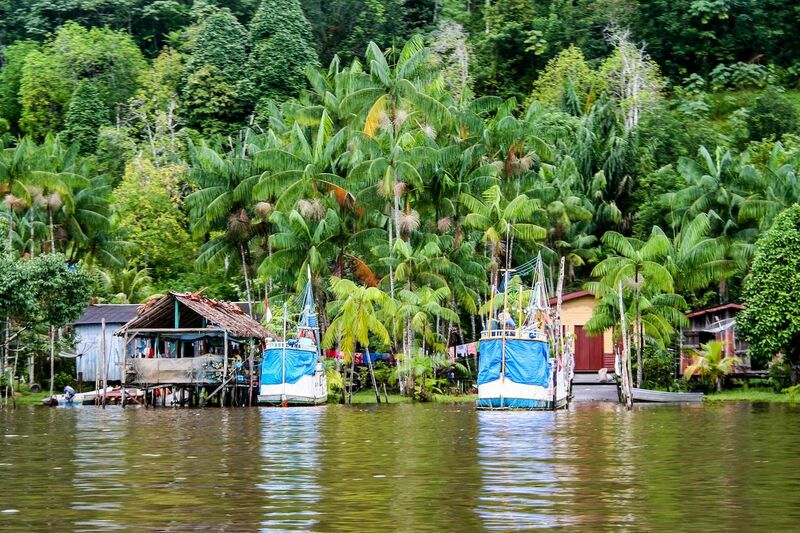 Traversing the jungles of South America is always best done on a river, and in French Guiana, you’ll feel almost like an old explorer, discovering villages of Amerindians and Maroons living a life much like they did centuries ago. 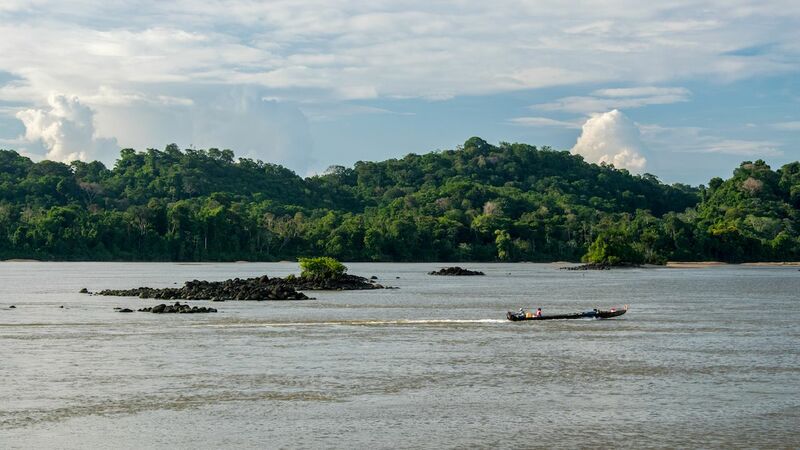 The most popular trip is along the Maroni River, which separates French Guiana from Suriname. This 380-mile-long waterway is the longest in the country, dotted with tiny villages that, though used to visitors, haven’t let technology seep in too much. You can also take a trip along the Sinnamary River into the heart of the Amazon or take on the rapids of the Approuague. Most trips are done via wooden canoes too, lest you feel like you’re on any type of organized “tour.” Though again, any trip into the wilderness here, on land or water, necessitates a guide. Nothing remote comes easily, and French Guiana is no exception. It’s the only South American locale to use the euro, and as a result, it’s not only hard to get to but also expensive (though it can be done on a budget). Because locals don’t deal with many tourists, you won’t find many English speakers, and while French helps, you’ll find more people speaking a Creole dialect than anything else. But travel is nothing if not an adventure. And if you’re down for one, you’ll get some serious travel street cred for making your way through French Guiana. The post If you hate crowds, you need to travel to French Guiana this year appeared first on Matador Network.